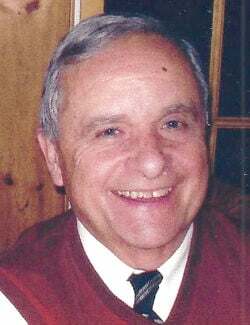 Robert J. Forguites SPRINGFIELD — Robert J. Forguites, 80, of Springfield, passed away unexpectedly at his home on Tuesday morning, April 9, 2019. He was born Nov. 24, 1938, in Forest Dale, the son of Leslie “Bill” and Janice (King) Forguites. He attended schools in Brandon, graduating from Brandon High School class of 1956, and attended the University of Vermont. 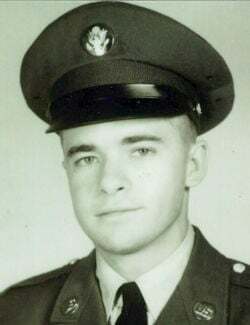 He served in the United States Army from 1961 to 1963. He was serving as a secretary at the Pentagon during the Cuban Missile Crisis in 1962. On Oct. 14, 1978, he married Barbara J. Hanna in Brandon. She predeceased him on Jan. 21, 2011. He had over 20 years banking experience, with positions ranging from bookkeeper to chairman of the board with the First National Bank, and 20 years municipal government experience in Springfield, four years as comptroller from 1994 to 1998 and 16 years as town manager, retiring in 2014. Mr. Forguites served as a member of the Town of Brandon Board of Selectmen; a member of the Otter Valley Union High School Board of Directors; a member of the Connecticut River Transit Board of Directors; a member of the Southern Windsor/Windham Counties Solid Waste Management District. He was a longtime member of Rotary International, and enjoyed volunteering at the Rotary Penny Sales and Christmas Parties. He was serving his third term as State Representative for Windsor District 3-2 and was a longtime member of St. Mary’s Catholic Church, where he served as a member of the finance committee for several years. He is survived by his son, Adam Forguites, of Essex Junction; three sisters Judith Goodspeed, of Brandon, Jaska DeForge and Marcia Brown, both of Sudbury; Aunt Nancy Forguites, of Burlington; many nieces, nephews and cousins. Friends may call at the Davis Memorial Chapel in Springfield from 6 to 8 p.m. on Tuesday evening, April 16, 2019. A funeral Mass will be celebrated at 11 a.m. on Wednesday, April 17, at St. Mary’s Catholic Church in Springfield. Rev. Peter Williams, pastor, will officiate. Burial will be at a later date in the Forestdale Cemetery in Forest Dale. Contributions in his memory may be made to Springfield Hospital, 25 Ridgewood Road, Springfield, VT 05156.